The Mojave Desert might be best known for its scorching sun and scary sidewinders, but the wind blows hard where the Mojave sands meet the Tehachapi Mountains in southern California, making it a great spot for wind turbines. It’s the site of the Alta Wind Energy Center (AWEC), which will generate 1,550 megawatts (MW) of energy when complete, making it one of the largest sites in the country for wind energy generation—enough to power 450,000 homes. Renewable energy developer Terra-Gen Power is constructing the site in several phases and we’ll provide $55 million to finance the 102 MW Alta IV project. Citibank, which has underwritten the equity for Alta Projects II-V, is also investing in this project. We’re always looking for projects that are uniquely positioned to transform our energy sector. As part of the new 4,500 MW Tehachapi Renewable Transmission Project (TRTP), AWEC uses some of the first transmission lines developed specifically to transport renewable energy from remote, resource-rich areas (like the Mojave) to major population centers. The Alta projects also employ an innovative financial structure called a leveraged lease, which has been used previously in the solar industry but has only recently become an option for wind projects. Under the leveraged lease, Google and Citi are purchasing the Alta IV project and will lease it back to Terra-Gen, who will manage and operate the wind projects under long-term agreements. We hope this structure encourages more investment by enabling other types of investors who might not typically consider wind projects. The first five Alta projects are already operational, delivering 720 MW of energy to Southern California Edison, which will receive all 1,550 MW when completed, under a power purchase agreement signed with Terra-Gen in 2006. While Google won’t be purchasing the electricity from this project, AWEC will help California meet its ambitious renewable portfolio standard of 33 percent clean power by 2020. 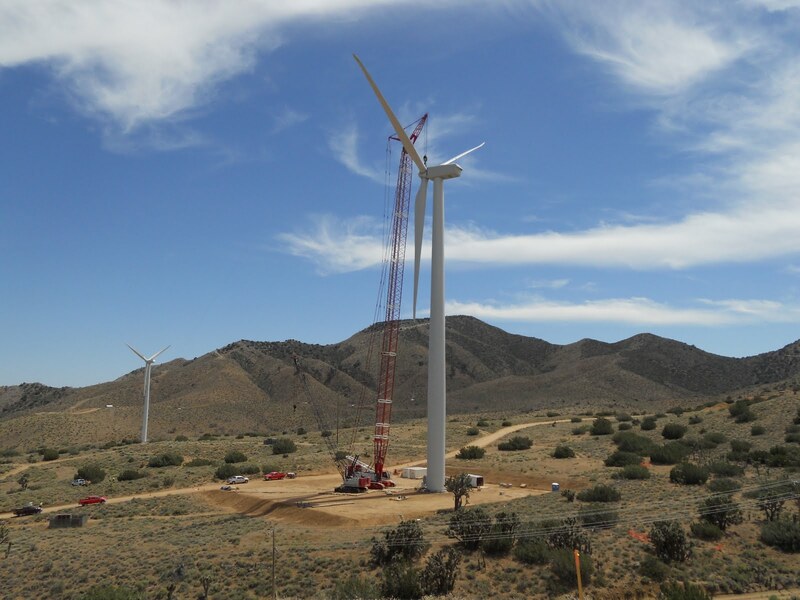 The whole site will boost California’s wind generation by 30 percent. With this deal, we’ve now invested more than $400 million in the clean energy sector. We hope AWEC’s success, with its unique deal structure and renewable energy transmission, encourages more financing and development of renewables that will usher in a new energy future.